Dark Chapter Press has made quite a name for themselves in the short time that they've been in existence. The amount of quality they have put into their releases is amazing, and the cover for Kids adds to their growing legacy. The theme itself is interesting because let's be honest and admit that children are creepy. They don't mean to be, they just are. Anyone with a child or knows someone with a child can attest to this. This anthology doesn't make them any less creepier. 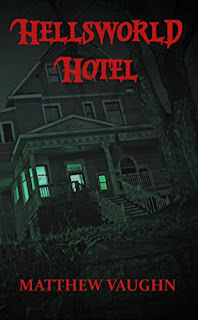 If anything you may want to lock your door before you go to sleep, and if you plan on having kids reading this anthology will take away that desire real quick. 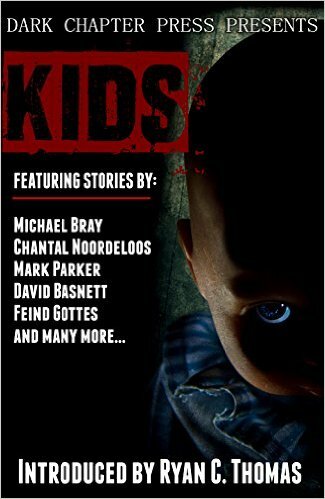 Kids is a horror anthology that reminds us that children are great subjects for horror. Look at Children Of The Corn, or The Omen. For some all you have to do is glance at the kid next door to see just how creepy kids are. 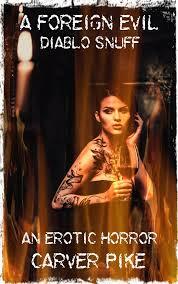 This anthology will no doubt cause a few nightmares and may force you to sleep with a night light on. It's that creepy and unnerving. The editors here have done a great job picking these stories and you have a wealth of different elements that make this such an insanely good anthology. These are stories that stick with you and make you watch children a little closer. What exactly are they thinking? Why are they staring at me like that? The goal of Kids is to frighten you and these stories do that without a whole lot of gore. It's the kids themselves that make this so damn terrifying. This is easily one of my favorite anthologies and shows that if done right an anthology full of creepy, evil, and even zombie kids can be unsettling. All of these stories are well written and unforgettable. From beginning to end there isn't a bad story at all and the editors have truly picked the best of the best. None of these stories should be skimmed or skipped unless you feel uncomfortable and maybe need a break. Each of these stories make you feel uneasy and you wonder how many of these authors have kids of their own. 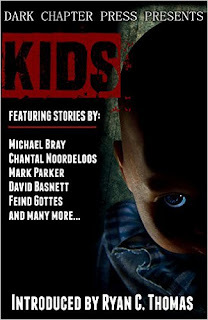 Kids have always been at the epicenter of great horror and this anthology is just another reason why Dark Chapter Press is one of the most talked about publishers out there. I received this in exchange for an honest review and cannot wait until volume 2 comes out.